Anangu Pitjantjatjara Yankunytjatjara (APY) 2017 Provisional Executive Board of Management Announcement. 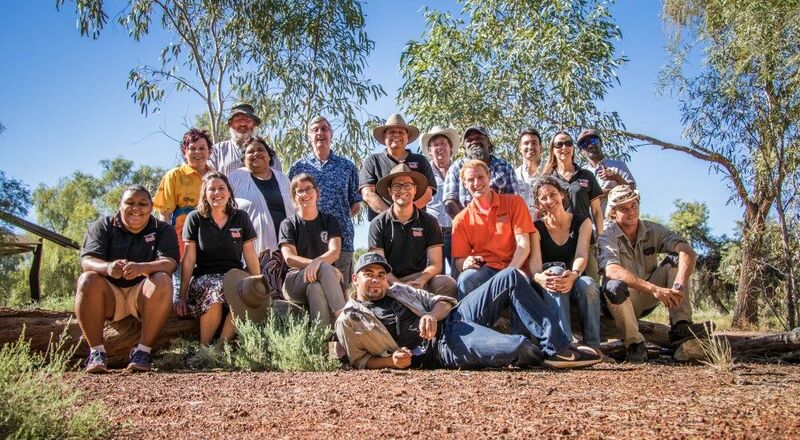 APY Management and staff are pleased to announce below the Provisional APY Executive Board of Management, we are looking forward to positive progress for Anangu Tjuta moving forward together. The Vacant Positions for (Mimili) and (Iwantja, Amaruna, Railway Bore, Witjintitja and Wallatina) supplementary elections are expected to be held in the coming month/s, this process is managed through the Electoral Commission SA. The APY Executive Board of Management will be holding their first meeting on next Wednesday 12th and Thursday 13th April, 2017. Today the APY communities are holding their community elections to select their new representatives for the APY Executive Board. For the first time APY Executive will have an equal representation of both men and women on their board. I would like to acknowledge our outgoing APY Executive Board for their commitment. The executive regularly travel vast distances to attend meetings, which can take over two days to conduct. I would also like to thank our stakeholders whom have worked with APY and the Executive Board to deliver both major and minor projects that improve the quality of life for all Anangu. Your patience, integrity and support has been duly noted and we look forward to the delivery of each and every project in the near future. Finally, I would like to acknowledge our funders who have worked with the APY Administration and the Executive to guide the organisation toward good governance, transparency and accountability. A special acknowledgement to: The Australian Prime Minister the Honourable Mr Malcolm Turnbull, South Australian Premier the Honourable Mr Jay Weatherill, Federal Minister for Aboriginal Affairs Mr Nigel Scullion, State Minister for Aboriginal Affairs Mr Kyam Maher, State Minister for Local Government Mr Geoffrey Brock, Ms Alex Reid DSD, Mr Mike Fordham PM&C, Ms Nerida Saunders AARD DSD, Mr Tim Larkin ILC, Mr James Armitage PM&C and all of the staff who helped in the previous year from PM&C, DSD AARD, Local Government, PIRSA team, Telstra, Roads to Recovery, DPTI Roads Project, On the Right Track, NPY Women’s council, RASAC, SKillhire, KPMG, Ernst and Young, Araluen Taxation Services, and Edwards Marshall. Lastly, I would like to acknowledge and thank all the staff that make up the APY organisation, your hard work and diligence have made you a central part of the solution. Together we have all made a difference. Anangu Pitjantjatjara Yankunytjatjara management conducted a 2 day workshop to undertake preplanning for 2017, these workshops were to assess where the APY Land Management Division is at present and where it is heading in terms of planning the future of Indigenous Protected Areas, Warru, Women’s and Ranger projects across the Anangu Pitjantjatjara Yankunytjatjara Lands. This workshop provided a great opportunity for APY management and staff to integrate strong governance systems to ensure that its operations align with the APY Strategic Plan 2016-19, starting operational planning for 2017 set the foundation for going forward and provides strong administration, governance approaches for Land Management Division.